There is one review of Carved Oud. 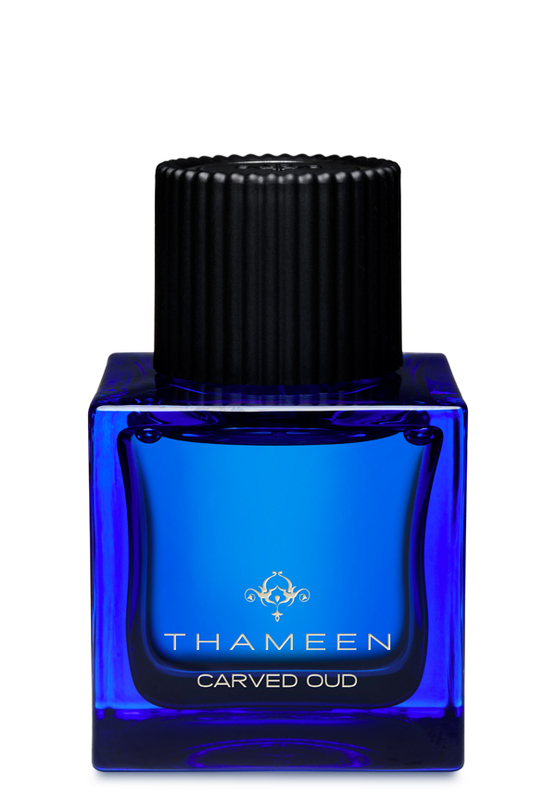 Like all Thameen fragrances I've tried Carved Oud is a finely tuned, carefully calculated cool fine woods fragrance. This scent speaks in whispers and in hushed tones. Initially the smell is a very clean oud wood and nothing much more. The name "carved oud" gives an idea of the smell because their is no smoke, no animalics, little earthiness, but a clean pure feeling of floating medicinal and sweet oud wood as if it might had been freshly carved from an ancient piece of aged oud wood, wood shavings scattered about. This is a sacred aroma that is familiar. This oud aroma is light and thin, but the quality and purity of intent is unmistakable. The oud is backed by cedar, guaic, patchouli and white musk. All of these aromas support a very light silvery oud and quiet woods aroma. If you are looking for a big oud or bold perfume, this is not for you. I like it though. Very nice. There are no member images of Carved Oud yet. Why not be the first?